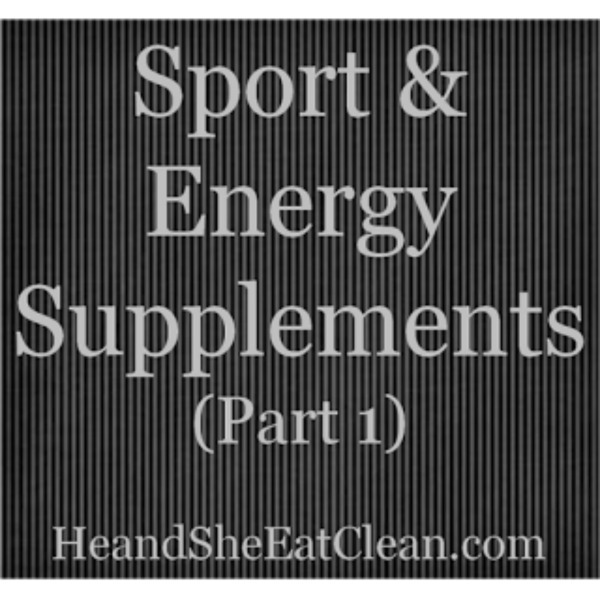 We have shared with you our Basic Supplements and Weight Loss Supplements in earlier posts, but we are frequently asked which supplements we take for energy and pre/post workout supplements, so I’d like to share those supplements (this is part 1). Acai Advanced Energy (we just call it Acai) is made from a combination of acai (pronounced a-sah-yi) berries, guarana, yerba mate (pronounced ma-tay), mangosteen, pomegranate, green tea and essential amino acids. We love Acai because it offers the best of both worlds – similar to the OPC-3, it contains a powerful blend of antioxidants to help prevent free radicals (which are caused by air pollution, stress, intense exercise, processed foods, etc.) from damaging or killing cells, but it also provides a potent energy blend to help you maintain focus and just enough energy to get you through the day. We talked about the importance of antioxidants in our Basic Supplement post, so be sure you check it out. It’s unlike any other energy product we’ve ever seen on the market…it tastes great and it’s isotonic, so you can be sure that it’s properly absorbed by your body. This is one our favorites and I’m sure you’ll love it too…it’s a great replacement to coffee or soda when you need a “pick me up”. I take it every morning with my multivitamin, calcium, B-complex, and OPC-3 (which come in a Daily Essentials Kit) in my own “isotonix cocktail”. This is another isotonic sport supplement that we love and is a MUST HAVE if you push your body to its limits with your training! The instantized BCAAs help promote healthy muscle growth/repair, muscle retention, and improve immune function (if you want to learn about BCAAs, check out this WebMD article). It also contains a powerful energy boost through a blend of B-vitamins. Champion Blend Plus also contains the active ingredient Pycnogenol found in another one of our favorite products, OPC-3. We typically use this product before and after exercise to improve exercise performance during your workout and repair and build your muscles after exercise. I always use this when I’m feeling a little sore from a workout – it works wonders in easing the soreness away! Any die-hard fitness junkie will tell you that one of the most nagging pains from all the intense training is in your joints. All those miles logged on your runs and all those reps in the gym will eventually cause joint discomfort and limited flexibility and mobility which will keep you away from the activities you love or possibly even cause a serious injury. Sure, glucosamine works to relieve some of that pain, but it’s a small part of the overall equation to proper joint health. I take a combination of an isotonic joint support product to help rebuild damaged joint cartilage with highly bioavailable glucosamine and hydrate/lubricate tissues with hyaluronic acid. It also contains the powerful anti-inflammatory Pycnogenol (found in OPC-3 and Champion Blend BCAAs). Check out the following studies using Pycnogenol for joint health – Study 1, Study 2. The joint health & flexibility kit also includes Omega-3 Fish Oil (900 mg EPA & 600 mg DHA per serving – more than any product I’ve seen on the market) and Curcumin Extreme. Fish oil (which we mentioned in our Basic Supplements post) is a powerful anti-inflammatory which works by reducing the inflammation agent in our bodies, C-reactive protein. Curcumin Extreme includes 400 mg curcumin and 167 mg broccoli seed extract – both are very strong antioxidants, but it also includes 100 mg selenium. Selenium is key in producing and recycling glutathione…if you haven’t heard of glutathione then read this article from the NY Times by Mark Hyman, MD (it’s an eye-opener! ).